Live Casino games are basically the same with the regular online table games, such as Blackjack, Roulette, Baccarat, and others. The difference between them though is with the dealers: a live casino, as the name suggests, have real, live human croupiers or dealers. On the contrary, regular online casino table games only have the computer program as dealers. In other words, when you are playing a regular online casino table game such as Match Play 21, you are actually playing against the computer; there is no real person on the other end of the line. These games are for those looking for more than the virtual table and slots games. In live casinos, especially on the casino sites featured here on TV Casino Live, the dealers in the table games are real humans. You will see the dealer moving live (with actual tables and cards) over the computer screen on a user interface that’s mostly comprised of video. Also, on card games such as Blackjack, a live casino commonly uses cards that are larger than usual, and which have prints that are larger as well, so players on the other end can see them more clearly. This is the same with Roulette, wherein the numbers on the roulette table have larger prints. Which Casino Games are available as Live Games? All the live dealer games, especially the games here at TV Casino Live, monitored and recorded 24/7 and each game is supervised by a pit boss that makes sure it runs smoothly and without problem. There are several ways which you can be guaranteed of fair and random games when playing at a live casino site, first and foremost you will see the cards being dealt on live casino games and also will see the cards being shuffled and when playing Roulette in a live casino format the ball is spun in view of you via the camera angle. All live casino sites we showcase here at TV Casino Live are also fully licensed and regulated by international gaming authorities. Where can I find Live Games and Guides? 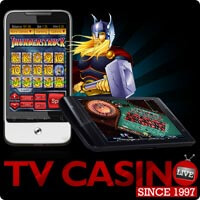 Read on and explore the rest of TV Casino live for more useful info on live games and game guides!